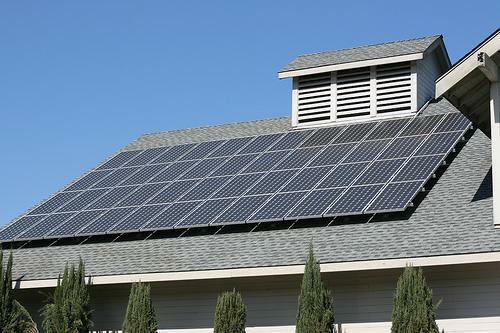 Middle-Class Households Are Spearheading The Solar Revolution In U.S.
Middle-class households are now the biggest adopters of solar power in the United States, Think Progress has reported. A recent study by the Center for American Progress has shown that solar is being “overwhelmingly adopted” in middle-class neighborhoods, by households with a median income of between $40,000 and $90,000 per year. The report used data on solar power installations from state databases to find adoption trends in the three biggest solar markets in the United States: Arizona, California, and New Jersey. The report also found that in both California and Arizona, the most year-on-year solar growth as found in households with median incomes between $40,00 to $50,000. The median was even lower in New Jersey at between $30,000 to $40,000. As Mari Hernandez from CAP points out, these findings “are in contrast to the current utility-industry narrative, which paints rooftop solar as a technology that is only being adopted by the wealthy.” It would be argued that households with an income of around $90,000 per year are reasonably well off, but as we have seen, the median in the biggest solar states is a now lot lower than that. This is yet more evidence that the solar revolution is gathering pace, with more and more people being able to afford to install rooftop solar power. How many years do you think it will be before having solar panels on the roof will be as widespread as having broadband internet today? Remember how quickly that seemed to happen once the technology was available and it became cheap enough for most people to hook up?